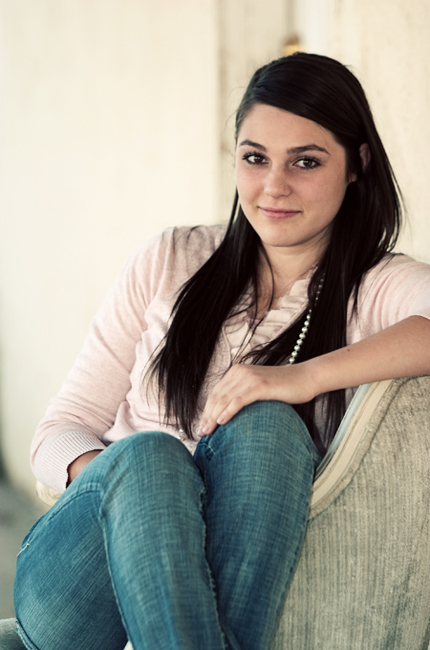 One afternoon I asked Rachel if she wanted to come over for a Halloween pedi. She quickly cleared her schedule and came on over. We had lots of fun, especially when I pushed back her cuticles. She claims it was SOOOO painful. I say she was being dramatic! Pretty cute, huh? 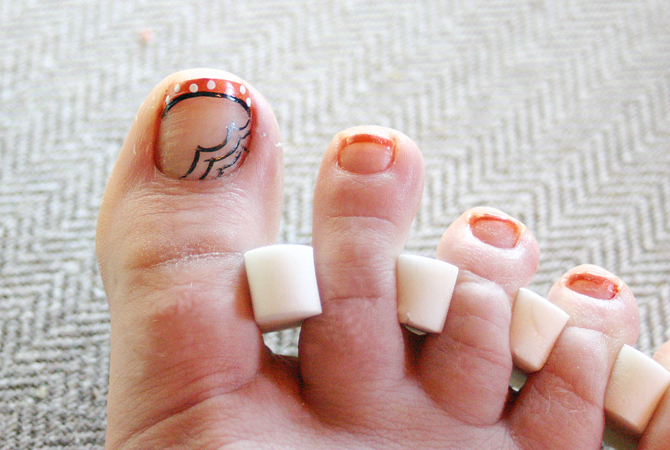 I bet your neighbor girls would love a pedi too. Grab some orange polish and paint the free edge. 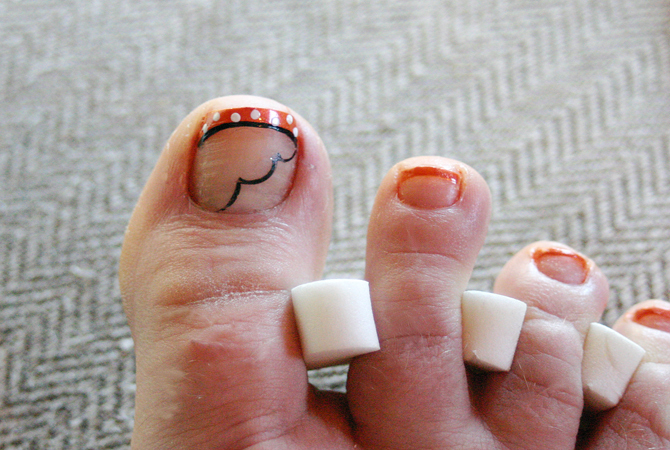 Toe separators are particularly handy when working on little toes. 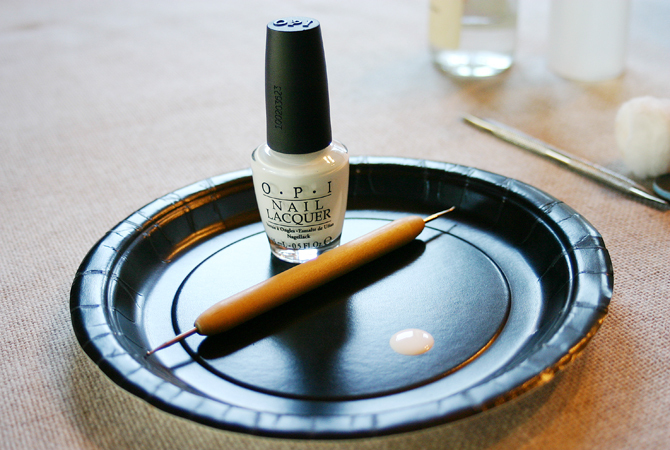 Clean up the curved line with acetone and a sable brush. Polish a thin black line just underneath the orange tip. Use acetone to straighten it if you don't have a steady hand. Skinny tip polishes can be found in the beauty section at your local Wal-Mart. 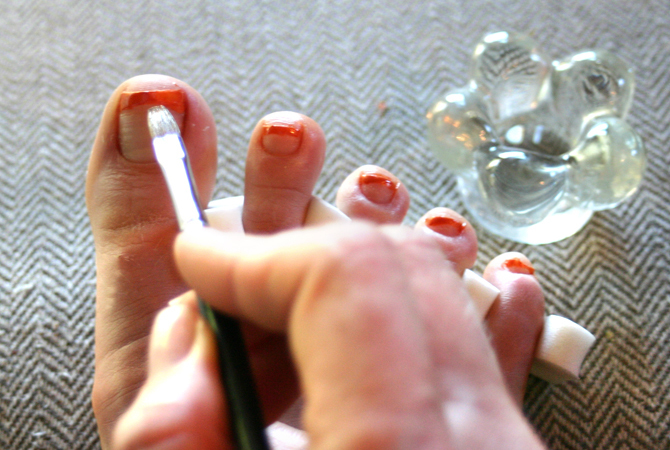 Use opaque, white polish and a stylus to make white dots on the orange polish. The stylus can be found at any craft store and makes perfect polka dots, every time. Repeat on the four little toes. To create the web, take the skinny, black brush and make a slanted line with two peaks in the outside corner of the big toe nail. Repeat, making two more lines under the first. Then connect the peaks with two straight lines to finish the web. Spooky, huh? Finish with a clear top coat. If this doesn't put you in the mood for Halloween, you're on your own. So cute. So lucky to be your neighbor! How creative! I did something Halloween themed too but not nearly as neat as this. So cute! And, strangely, really classy. 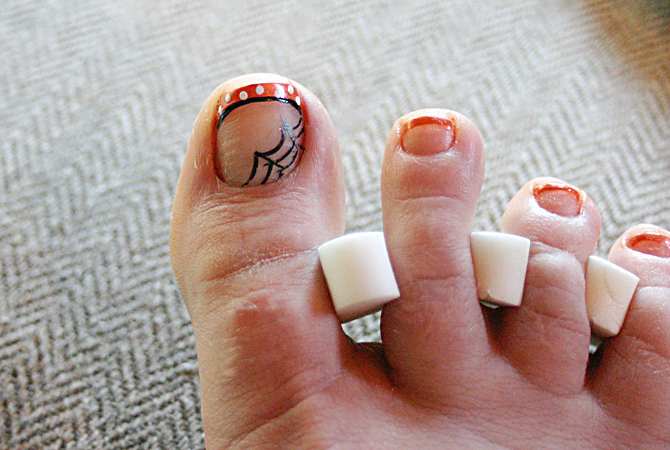 I've seen some weird themed nails. But these are sweet.